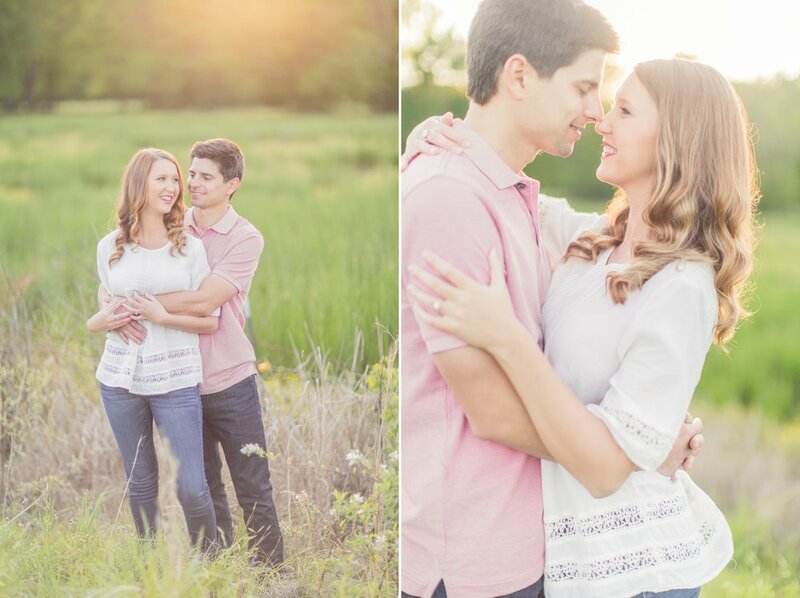 I absolutely loved my time with Elizabeth & Stephen for their engagement session! These two have been dating for six and a half years, so they are so excited to finally be engaged & preparing to start their new journey of being husband & wife! Both Elizabeth & Stephen grew up in Clinton, so it was only fitting that we did their engagement session there! We spent the first part of their session on Mississippi College's campus (my alma mater that I LOVE) & Clinton's famous brick streets, then went to one of my favorite spots on the Natchez Trace for some sunset portraits! They are such a sweet couple, so I know there wedding day will be such a beautiful one! I can't wait to capture it! Elizabeth & Stephen - I'm so honored you chose to have me as your photographer during this season! Can't wait until September 23! !